Today, Jessa (Duggar) Seewald is celebrating her 22nd birthday with her new husband. Have a blessed day, Jessa! Watch Ben Seewald's scavenger hunt proposal tonight on 19 Kids and Counting. Happy Birthday Jessa. Have a wonderful day. Aw, happy birthday to a beautiful bride!!!! Are you going to put Ben's birthday and the Seewald's Anniversary on the list? Happy Birthday Jessa!!! Hope you have a WONDERFUL day! Congrats on the Wedding!!! So EXCITED for you guys!!!! 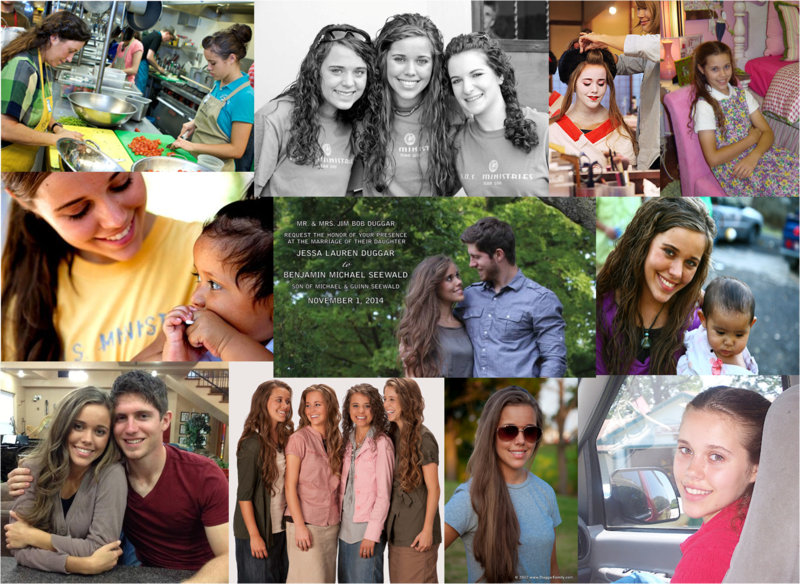 Sending much love to Jessa on her 1st birthday as Mrs Seewald ! Happy birthday Jessa!! Hope you have a wonderful day. Yay!!! Happy birthday to a wonderful girl!!!!!! Happy Birthday to Jessa, what a great week she is having, hope the honeymoon is peaceful without paparazzi.Has Ben turned 20 yet? Hey Ellie - love your blog. But (and I'm one of those pcky perfectionists) the picture of Ben & Jessa, should read Ben and Jessa. Josh & Anna, Derick & Jill. It should be Ben & Jessa. You do a GREAT JOB. However, that will drive me nuts. Seriously, can you change it? Also, want to see lots and lots of pics of Jessa in her dress and the bridesmaids dresses. And were brownies and sundaes all they servided? The new idea for a picture collage is also a good way of featuring all the person of the day pics! Happy 22nd Birthday Mrs Seewald! Something I noticed about Jessa that is wonderful is her attitude. She is always so positive and strong, in a really good zone, where she sees the very best in others and is unwavering. She reminds me of the verse where people are advised not to be double minded or they will not receive anything from God. She seems single minded in a good mind set with a smiling face. Love the new photo layout for birthdays. Very clean, crisp, and to the point. Happy Birthday, Jessa! Praying blessings for your future! So happy for the two of you! Marriage is spiritual sandpaper but so worth it! Time to update your birthday page for Jessa's new name, Ben's birthday, and their anniversary! Wishing you a birthday full of love,happiness and joy. Enjoy your first birthday as a married woman. Hope your birthday is everything you want it to be and more. Have a day of sunshine ,love,joy and FUN! Best birthday ever! Happy Birthday Jessa! Wish you many more with Ben! Happy Birthday Jessa!! Hope you have a happy day!